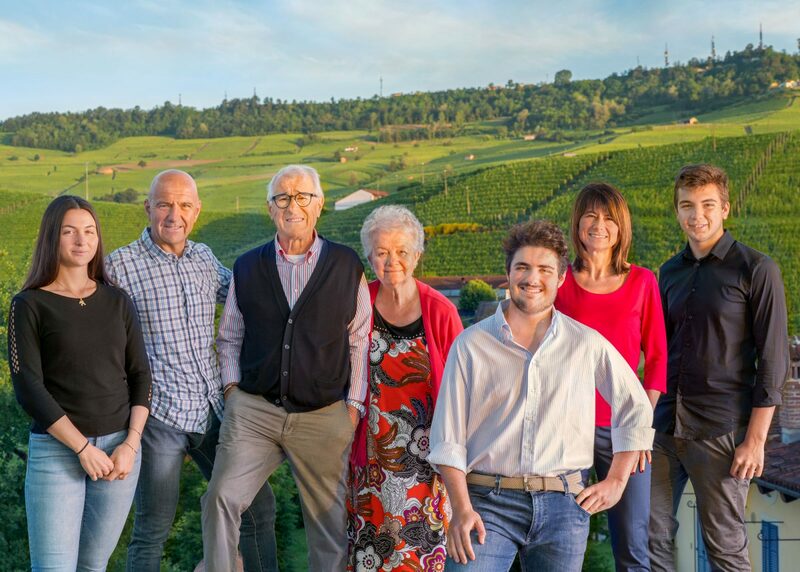 Sandrone’s Dolcetto d’Alba is produced using Dolcetto grapes from 11 different vineyards, all within the Barolo DOCG. 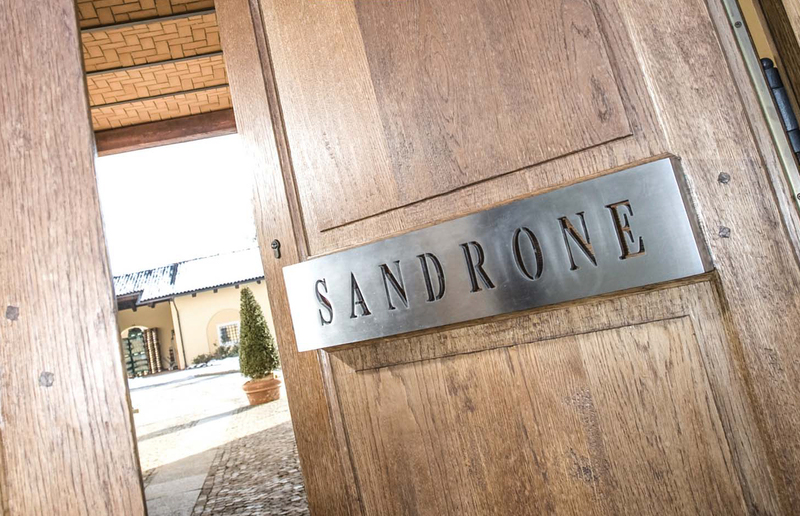 Sandrone’s Dolcetto sees no time in wood and is a remarkably robust and complex example of the variety. 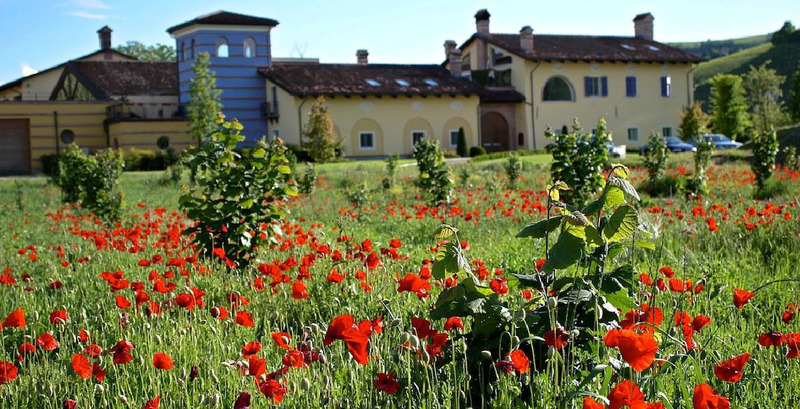 Sandrone Dolcetto d’Alba is produced using 100% Dolcetto grapes from some of Alba’s finest plots. 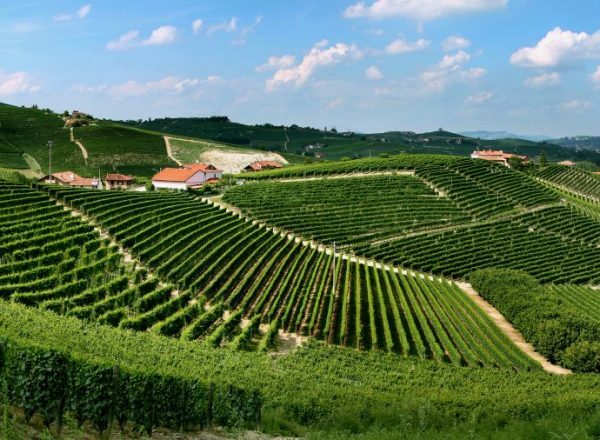 There are four grape production areas, two in Barolo and the others are divided equally between Novello and Monforte d’Alba; more specifically the vineyards in Barolo are called Rivassi and Crosia; in Monforte d’Alba, Castelletto; and Cascina Pe Mol and Ravera in Novello. 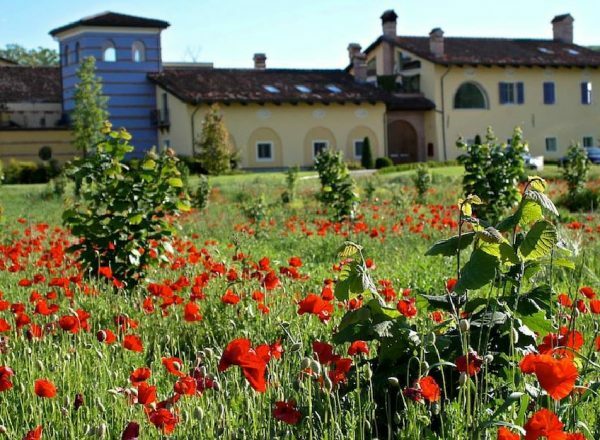 These areas are particularly suited for the production of Dolcetto d’Alba as the soil and the mesoclimates create a perfect environment in which the grapes can grow. 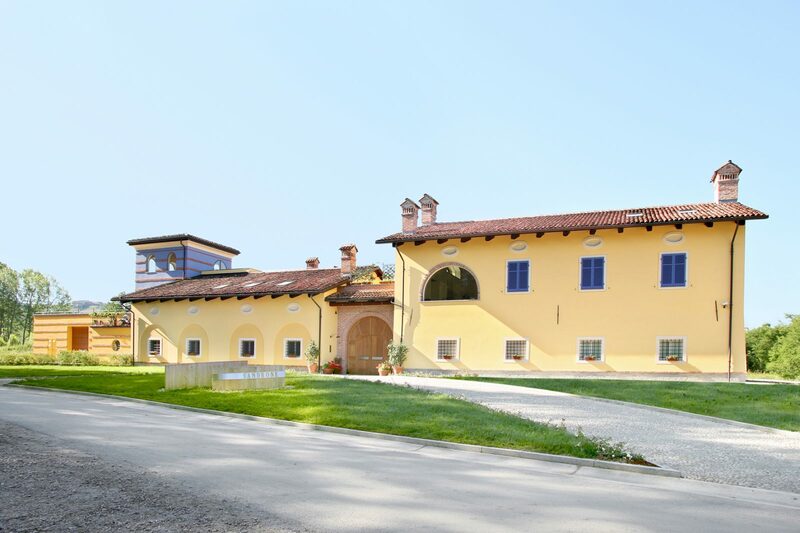 Each vineyard is vinified separately, and after destemming and light crushing, the must is covered with CO2 for a gentle warm maceration of approximately a day. Alcoholic fermentation begins about 24-36 hours later from native wild yeasts only. 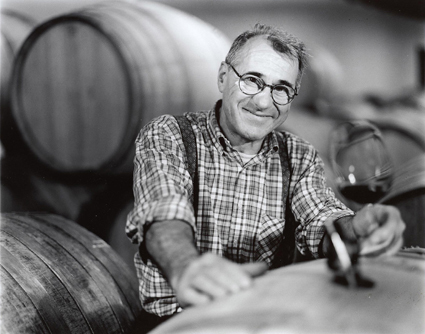 A gentle maceration takes place in upright open-top steel tanks for the first 5-9 days of alcoholic fermentation. After alcoholic fermentation, which takes 14 days, malolactic fermentation takes place. 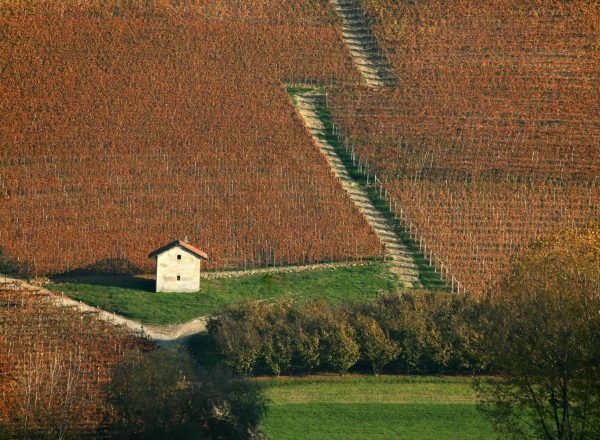 “Warm and dry” are the best words to briefly and clearly describe the 2017 vintage. 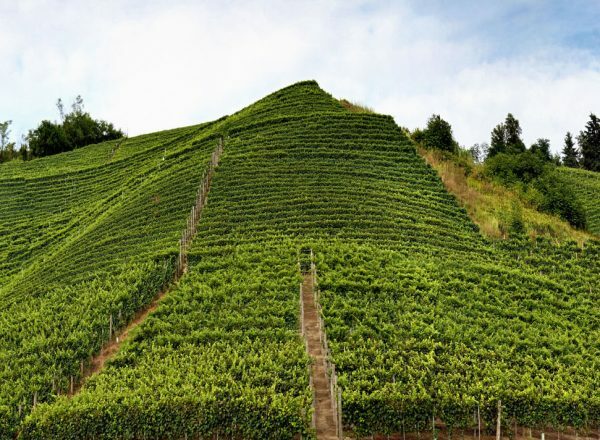 Alleviating the heat were the excellent diurnal temperature shifts that brought cool air during the night, which provided a little relief to the vines even in the hottest days of July and August. The mild winter led to early bud break. But, in an atypical return of cold in mid-April, the vegetative cycle was slowed by very cold temperatures, which even brought frost to the valley floors. During the periods of pre-flowering and flowering, the cold clearly determined the formation of the grape bunches, leading to looser bunches with better internal air circulation. The high pressure zone that formed over Europe for the entire summer led to early maturation. 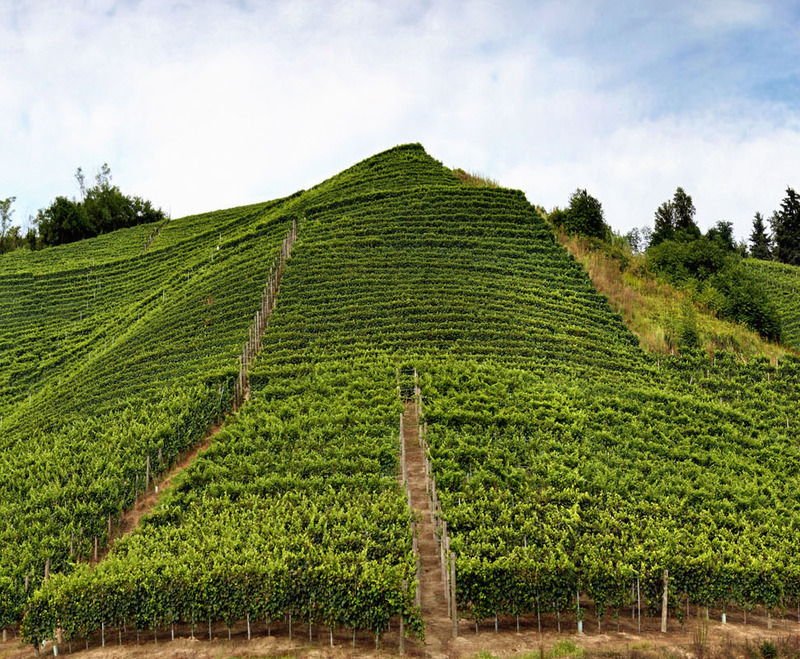 The summer, warm and dry but with good diurnal temperature shifts, defined the ripening of the grapes. In particular, the veraison was very early, even compared to other early vintages. 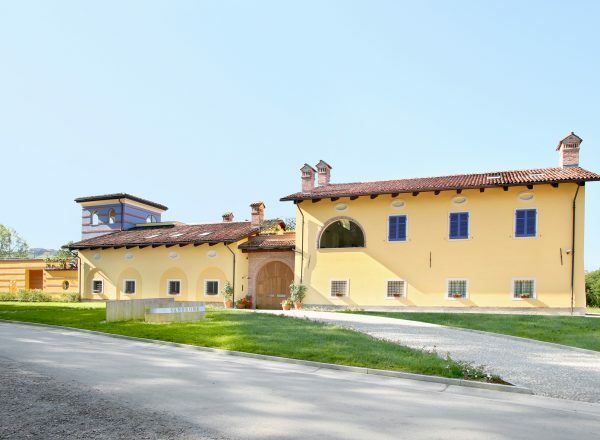 The accelerated maturation continued and the Dolcetto grapes were harvested 20-25 days earlier than normal. Harvest took place during the last week of August. 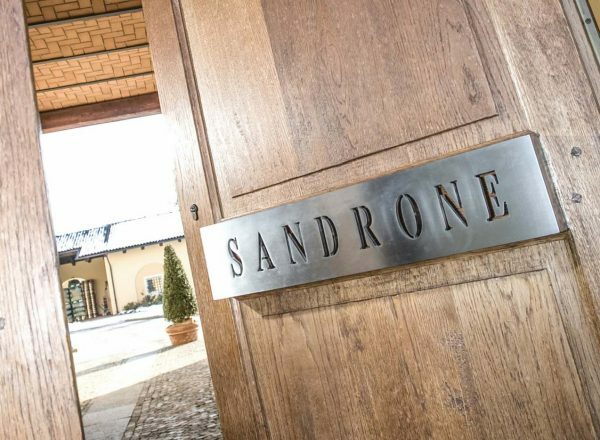 The Sandrone Dolcetto d‘Alba 2017 is a young wine of complex and beautiful personality, with great aromatics. The color is alive and dense: ruby accompanied by elegant violet reflections. The fragrance is varied, first of all of fruit: pleasant hints of maraschino cherry, plum and small red fruits. This is followed by spicy notes of cinnamon, which are accentuated and harmonized as the wine evolves in the glass. The flavor is dry, intense, vigorous and moderately warm, and concludes with a pleasant final hint of almonds. 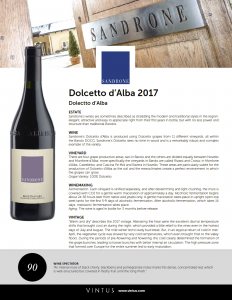 This Dolcetto d‘Alba is an eclectic wine, able to accompany many of the various dishes of a meal. "An intense nose of black cherry, blackberry and pomegranate notes marks this dense, concentrated red, which is well-structured but covered in fleshy fruit until the long finish. Drink now through 2024." 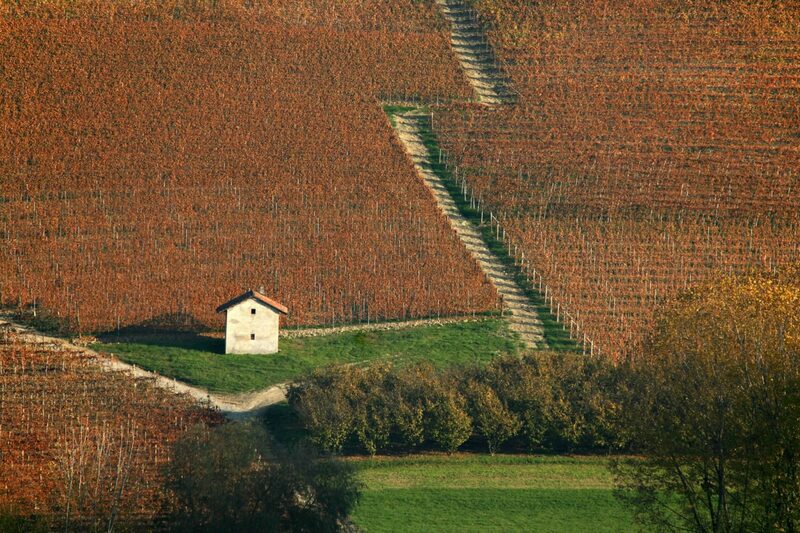 Le Vigne is a wine created from four different Nebbiolo vineyards, each of which brings its own contribution. 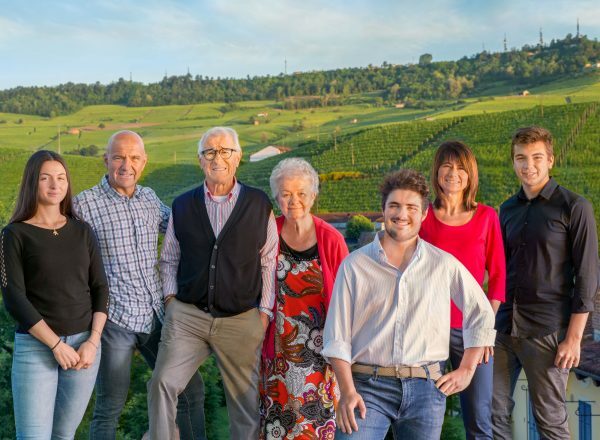 This union generates an exceptionally complex wine that is round and harmonious on the palate, with fruity and spicy notes, and this approach of blending together plots is in fact the traditional one in Barolo.